I hope you’re having a special time with friends and/or family on this Memorial Day. As we remember the American soldiers who have lost their lives in service, I also want to send out a very heartfelt ‘thank you’ to those who are actively serving and are away from their families, and to those who are at home and away from their soldiers. Thank you for your dedication and service. Because you do what you do, we can all do what we do in America! I know a lot of folks will be getting together to break bread today, so I thought I’d share a fun article and video about a famous breadmaker from right here in central Alabama. Some of you may already know of and love her, but for those that haven’t been introduced- her name is Patricia Barnes, and she’s gone by the nickname “Sister” since childhood. She began baking as a young girl, standing next to her Grandmother Gommey’s side atop a worn-out wooden kitchen stool, and today, her ethereal, light-as-air rolls and have become as traditional in the South as saccharine-sweet iced tea. Whether they’re stuffed with sausage, swimming in blackberries and vanilla ice cream, or served alongside homemade chutneys, relishes, and spreads, ‘Sister Schubert’ rolls are a family gathering staple around these parts. 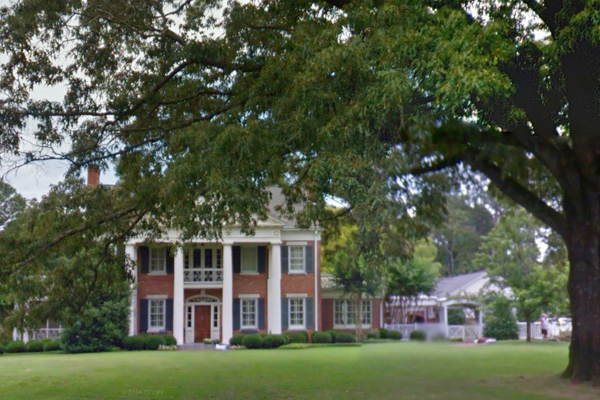 She was recently interviewed at her beautiful antebellum home in Andalusia and I just loved hearing how the interviewer described her. He said, “She is a charming woman with gentle skin and eyes. She carries herself with the poise of someone who is not in a hurry, another Southern attribute she learned at an early age. Her smile is genuine and her humility is magnetic”. The article went on to say that Sister grew up baking and cooking and although she “loved every bit of it”, she studied interior decorating after high school and worked with her father in the furniture industry after college. But her passion for cooking never waned. So when her church held a food fair in 1989, she used one of her grandmother’s old recipes to make twenty pans of rolls. 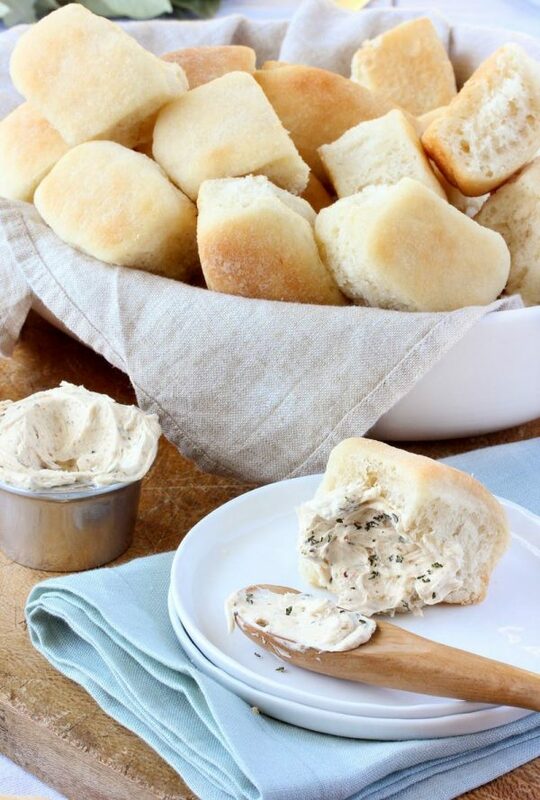 People absolutely loved them, so she made them again the next year, but this time, she made 300 pans of rolls, and froze them after they were baked. Sister continued selling her rolls at the church and within two years, she had 20 employees working out of a makeshift bakery in one of her father’s old furniture warehouses. Another year went by, and she was making one and a half million rolls a day out of a commercial plant in Luverne, Alabama. “I was visiting an orphanage one time when my eyes locked into the eyes of this little boy, and I just knew I was going to adopt him.” He had clubbed feet and Sister was told “not to expect much”, but today, he is active in many different sports and brings unending joy to their entire family. “When God blesses you, you in turn, are to bless others”. Where she sees herself and her company in five or 10 years? “If God is willing, I will be baking bread. I will be kind, and will try to do the best to my ability to help others. I will live every day like it’s my last”. Sister now uses a kitchen stool similar to the one she used as a preteen to teach her grandkids how to bake. It’s not worn-out or wooden, but the legend continues, because she learned from an early age that food not only feeds your hungry stomach, but also has the power to bring families together. Blessings to you and your precious families today, friends! Previous Post: « Guess Who’s Going To Be On The New Trading Spaces! What a great story and great video! I love the idea of Meet! Thank you, sweet friend! I’m so glad you enjoyed it! Thanks for this post! I am a grandmother of 7, and my 2 little 4 YO granddaughters love to bake with me. We have enjoyed these rolls for years, but the story behind them will make them taste even better. Thanks for the post on Sister Schubert. I made them one Thanksgiving and we were hooked. It’s a tradition to have those rolls now. I had no idea about the story of the woman behind them. Such a kind and wise woman. What a beautiful story of family, traditions and most importantly, love! I think your idea for “Meet” is a great one….we’d get to know our fellow Americans a little bit better! Those rolls have become a regular holiday tradition around here! And I keep a pan in the freezer, because you never know when you might need just a few rolls to make a dinner even better! Thanks for sharing about her, what a warm and gentle spirit she has. Loved this. I always thought Sister Schubert was a nun!! We love her rolls. “Meet” is a great idea. Thanks. We love Sister Schubert products. I don’t believe they own the company anymore, however. They sold it in 2000 to Lancaster Colony who has acquired several well-known regional food lines around the country. Great to know the quality has been maintained over the years. Yes- Sister the Vice President of research and the brand spokesperson. She said they chose Lancaster because of their longtime history of working (well) with family businesses. What a delightful story! I love Sister Shubert rolls!! Your Meet idea is lovely!! This was awesome. I’ll be setting the table for my family more often for sure. I think you should definitely continue the “Meet” posts. Thanks for sharing! That was a heart-warming story! Have loved her rolls for years. Had no idea she was a “real person”. Oh, that makes me even more excited to do these kinds of posts! 😀 Thank you for commenting! Great idea. Get to know our neighbors. Love these rolls and had never heard this story! Such a special treat! Would love to hear more of these types of stories too! Thank you for sharing her story, we just enjoyed her rolls, and didn’t know such a fabulous story were behind them! If I don’t have the time to make my own rolls, my go-to is Sister Shubert rolls. They are better than mine, but I still like to try for perfection! Had no idea she was a real person either. Hoping everyone has a wonderful day today, and please take a moment or two to give thanks for those who have served, as well as their families. My daughter is married to an Air Force Commander, and I thank them both for their service and sacrifices over the years. YES!! I found myself thinking the same thing before you said it. Go for it !! What a precious story!!! I love Sister S. Rolls! Have forever! How neat to read the story of how they came to be! Yes, keep the “meet” posts going! You have access to such interesting people! I had Sister Schubert rolls several years ago when visiting family in Mississippi. They are now available in California at Walmart. Love them! We had an Aunt that made rolls similar to Sister Schubert’s. A cousin and my oldest sister asked for the recipe and she gave it to them but they never turned out. We suspect that she left something out intentionally so that she would be the “rolls queen”. Then we started finding Sister Schubert’s in the freezer section and never had to worry about making rolls again. Thanks for the trip home to Covington County. We are big fans of Sister’s rolls. The video was a treat; her accent is wonderful. Not only is she a great cook, she is one smart lady. I read that she attended THE University of Alabama and Auburn. Andalusia is very proud of Sister, as they should be. What a classy lady. Loved this wonderful story! Yes please, would love more! Love the idea of “Meet”. Heart warming story. Share more. We always bring out the Sister rolls on Holidays! You just can’t top them. Oh, and I thought Sister was a nun too. I would love to “Meet” with you each week. Happy Memorial Day!!!! I thought the same thing as Doris, that Sister Schubert was a nun! I have some of “her” rolls in my freezer. Have you tried the Pretzel Rolls? Oh my, they are wonderful, but hard to find . Those are our favorite rolls! My boys play rock-paper-scissors to see who gets “the middle roll.” 🙂 I had no idea there was a story behind the brand. Thanks for sharing. Just loved this article and thank you Layla for presenting it. Hope you will follow your inspiration and do some more like this. Love that “meet” subject content!! Just recently our oldest son who is now 37 was featured in a local magazine At Home In Arkansas. He was seen by the writers of the magazine at a local open house of a bath, kitchen and fireplace shop called PC Hardware. They also call their monthly feature “meet”. He makes custom wooden bathtubs (his website is listed below) and we are so proud they introduced him through their magazine! Love your writing Layla and look forward to more “meet” columns on The Lettered Cottage! Hmm reading all of the comments has made me think next time I am in USA I will have to try some! They sound too good to be true! My family and I have enjoyed Sister Shubert rolls for as long as I can remember. Reading this story makes me happy to know such a nice person is behind these great rolls that we have grown to count on. Did not have a clue about this amazing lady …. thank you so much for sharing !!!! AND.. I think your idea about “Meet” is a wonderful idea !!!!! Blessings to you and yours !!!! sigh…just checked their website, and there is not a gluten-free version (some of us have to eat gluten-free). Yes, a “Meet” feature would be great! Yes, Meet sounds like a great idea! Loved this article! I look forward to the “meet” as I had never herd the story of Sister. Thank you for your writing ✍🏻 and sharing these fantastic stories.